Il Posto is a relaxed and modern Italian Mediterranean Restaurant on Dublin’s St. Stephen’s Green. The restaurants appeal lies in it’s natural warmth and charm, offering regulars and newcomers an atmosphere that would make you feel like you are dining in the heart of Milan or Rome. Whether you are dining with a loved one, friends, family, colleagues or entertaining business clients, Il Posto offers an intimate and elegant setting with an informal family atmosphere, sumptuous food and excellent service. 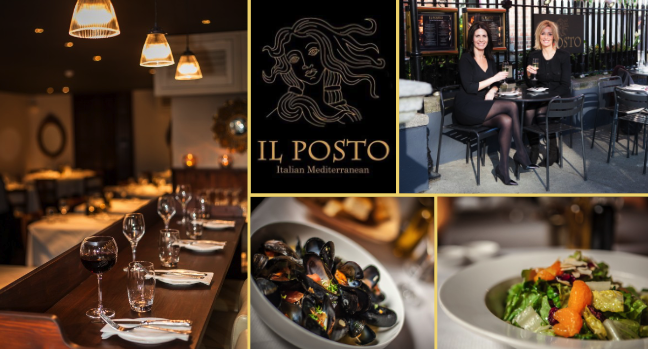 Stop by Il Posto any day or evening and you will be drawn in by the ambience, the irresistible food and wine and the welcoming hospitality of sisters Susannah and Amanda and their team. Enjoy a little piece of the Italian Mediterranean in Dublin at Il Posto with today’s offer 2 course lunch for 2 people for only €25. Buon Appetito!